The talented Lynsey May kindly asked me last week if I wanted to pick up the baton and share my Next Big Thing. Over the last few weeks, writers have written about what they’re doing next and asking other writers to do the same. The resulting blog posts make for inspiring reading! I couldn’t turn down a chance to brag a little, so here goes. 1. What’s the title of your latest story? Salanntùr. It’s one of seven stories in a collection called The Seven Wonders of Scotland. 3. What genre does your story fall under? The main two characters are Janet, a journalist from Glasgow, and Arthur, a not so nutty professor. In my mind, Janet looks something like Fiona Bruce but she’s not an actress. Hm. 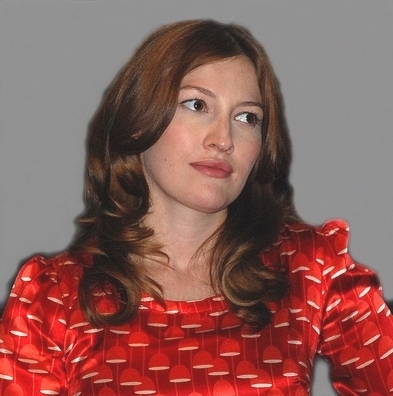 Let’s pick Kelly Macdonald for that role, though she’s a little too young. Arthur is tall, tweed-clad, and ageing gracefully in the salty air of northern Scotland. I need someone distinguished who can make us believe him when he flips from warm to cold. John Hurt would be perfect. 5. What is the one sentence synopsis of your story? It’s Scotland’s greatest gift to the world – a kilometre high tower that will float around the world’s oceans to spray a thin mist of salt water into the air, reflecting sunlight out towards space, cooling the earth – but it is a controversial gift because of how the building of it affects the local environment. 6. Will your story be self-published or represented by an agency? Neither. Salanntùr is part of an anthology, The Seven Wonders of Scotland, and launches at Blackwell’s Bookshop, in Edinburgh, 18:30 on November 27th. Come along! Kirsti Wishart, Gavin Inglis and I will read from our stories. Gerry Hassan, the editor, will be there too. I should know that to the minute, but I don’t. I wrote the first draft in stages to get it in to review with my writer’s group. The first version they saw took maybe four hours to put together and was a magazine article and a long list of bullet points. (The one that said “Epiphany here” got a good laugh.) I think I spent another six or eight hours filling in the gaps before I had something that can be called a first draft. It was way too long so I spent some time whipping it into shape. 8. What other stories would you compare it to within your genre? The format – split between the first-person article that the journalist writes after her visit to Sallantùr and a third-person account of her experiences there – feels well established but I can’t think of a particular story that I’ve read that uses it. Books often use that structure but then the introductions are proportionally shorter. My friend Helen Jackson told me about Birlinn’s call – I wouldn’t have know anything about it if she hadn’t mentioned it. Then I played with different ideas. The salt spraying tower came to me quite quickly, but in its first incarnation, it was a bone-white, 150 meters tall, 2,000 year-old salt-spraying tower that rose from the middle of Loch Ness. Imagine that long valley, dusted in salt, sparkling dully in the sunshine: black water, white, white ground and a spire, straining towards the sky. It was a nice image, but rather too baroque for what I was trying to say. 10. What else about your story might pique a reader’s interest? It has everything you might want in a story: strong characters, evocative environments and science. I’d like to visit Salanntùr, it’s an intersting place. It’s a pity it’s fictional. Now, I’m passing the Next Big Thing baton on to Gavin Mcmenemy. Gavin’s was my first writer’s group (it was a small group) and writes great stories, often, but not always, with in the sci-fi genre. He has a story in the Diamond Light Source short story anthology Light Reading. The cover art is, in fact, an illustration for his story. So, what’s next? Take it away Gavin! 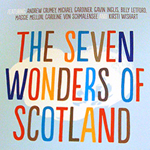 The Seven Wonders of Scotland, an anthology from Birlinn examining Scotland today through tales of fictional wonders, is out early November. The book was launched at Changin Scotland last weekend, and has a second launch at Blackwells Bookshop on November 27th, 2012, 18:30 (not 18:00 as first advertised). Gerry Hassan will introduce the book and there will be readings, from me, Kirsti Wishart and other of the writers. I’ll also be reading at the next Illicit Ink event, 20,000 Words Under the Sea, at The Bongo Club, on December 2nd, 2012, 20:00. The inspiration for my piece, The Corals Wave Back, comes from my natural history hero, David Attenborough, and The Living Ocean. I don’t think I’ll be alone in taking inspiration from that quarter. You’ll also hear Helen Jackson read Ms Chalmers and the Silent Service, Lynsey May and other local writers. There’s something very special about pre-proofs, the printed (or PDF) examples of what your text looks like laid out and formatted as it will be in the book. It gives me a thrill of excitement, every time. I write my stories in Scrivener, and the output usually looks quite ugly. Standard manuscript format is double-spaced and uses Courier, not the prettiest of typefaces. But when the text is typeset, with margins, page numbers, my name on the first page, a proper font: golly, the text looks gorgeous. Amazingly, it reads better too. It is a pleasure to read through the words, find characters or punctuation that’s gone wonky and return corrections. There’s something even better than proofs: the finished book. That’s the most beautiful thing in the world.